Cassidy is a 7thgrader in Rye Brook, New York. 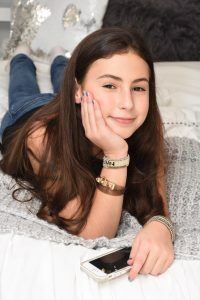 With both her 12thbirthday and her bat mitzvah coming up, she had an idea: Make them into a fundraiser to benefit Charley’s Fund and help kids with Duchenne! She also decided to make it into something extra special by combining it with one of her favorite activities — dance class. With help from her mom Jen, her dance studio, and Charley’s Fund, Cassidy coordinated a charity dance class and set a goal of raising $1,000. In a record-breaking 24 hours, she blew past her first goal and set a new one. Three short weeks later, she welcomed a maxed-out class of dancers and celebrated raising $2,300 – more than double her original target! We sat down with Cassidy to discuss her creative and wildly successful hip-hop dance class for Charley’s Fund, what it was like planning her first fundraiser from start to finish, and why she thinks others should consider getting involved like she did. Question: It’s tremendous of you to dedicate your special occasions to raise money to help kids with Duchenne. Tell us more about how you decided to do that. Answer: My dad and Charley’s dad Benjy have been friends since they were in 6th grade. So, over the years I’ve gotten to spend time with the Secklers, including Charley. My family loves them, so when it came time to decide what charity I wanted to support for my mitzvah project, it was easy – I wanted to help Charley and all boys with Duchenne by helping Charley’s Fund! Q: Your fundraising idea was so original. Can you tell us a bit about how you came up with the idea and how it worked? A: Thank you! We tried to think of something that would help raise money and awareness but also be special to me — and something my friends would enjoy too. I love to dance, and we thought that my friends as well as my sister’s friends would sign up if we offered a hip-hop class at my dance studio. My studio was excited about being supportive and donated the class so that people didn’t have to pay to take it — they just had to make a donation. 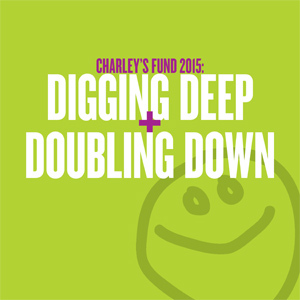 Charley’s Fund helped us set up a special webpage where people could register and donate, gave us some fundraising advice, and even supplied some Charley’s Fund goodies for the event. We emailed the parents of mine and my sister’s friends, and the class filled up super quick. Then when the event came, we had a ton of fun dancing and celebrating what we were doing together to help other kids with Duchenne. Q: What for you was the most exciting thing about planning your fundraiser? A: The most exciting part was seeing my friends and family get excited about it! They really turned out with an amazing show of support for me and for a charity that is so important to me. I did not expect to raise as much as I did at all. It felt especially exciting when I met my first goal in 24 hours and then ended up raising over double what I thought I would at the start! Q: Did anything surprise you along the way? A: I was surprised how easy and fun it was to pull off an event like this from start to finish. I was also pleasantly surprised by how my friends and their families stepped up to support Charley’s Fund. In addition to helping out with donations, they were genuinely interested in learning about Duchenne. Many actually didn’t know about Duchenne before the event, so it felt especially great to create awareness and on top of that help them get involved in doing something meaningful to support Charley’s Fund and help boys like Charley. Q: Your project was really successful. Do you have advice for others thinking about doing a fundraiser? A: It can be intimidating to start a project like a fundraising event, but it’s one of the best things I have ever done. It felt great doing something for a good cause, and it was also a ton of fun. My advice would be to choose something you have a passion for (like dancing for me) and go for it — turn it into a way to help others. Don’t underestimate yourself and don’t be afraid to ask Charley’s Fund for help – that’s what we did, and it made things SO much easier. There are so many people that are willing to give to your cause. You just have to ask!